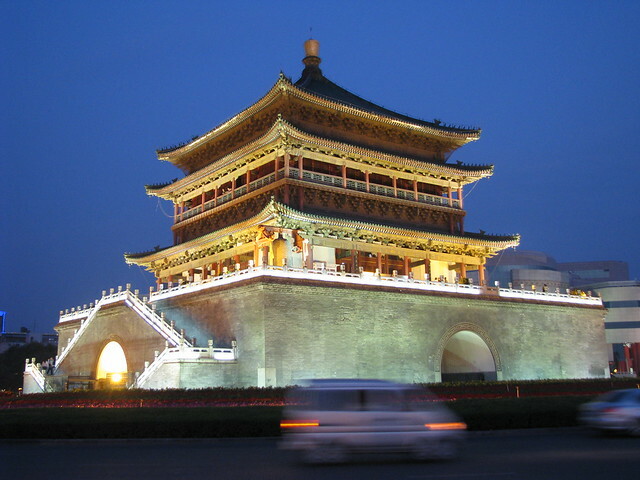 What is the best time to visit Xi’an? Different people may have different answers depending on the attractions wanting to go. But generally, visitors like to travel when the weather is good, warm and comfortable. Then, the climate in general will be introduced and the concrete situation will be described one by one. Xi’an is a city with four distinct seasons. It is cold in winter, with mild wind but a lot of fog. Rain and snow seldom fall down. It is warm, windy and dry in spring and the weather changes often. It is hot in summer and it rains often. It is cool in autumn and the temperature falls sharply in the season. The average temperature of the whole year is about 13℃. It is about 0℃ in January, the coldest month, while it is about 26℃ in July, the hottest month. The lowest temperature is -21.2℃ while the highest one reaches 43. 4℃. The average rainfall of the whole year is about 600 mm, with the most ones in July and September. In respect to physical comfort, spring is the best season to take a Beijing Xian one day tour and it lasts from March to May. Warm sunshine and soft wind will give you a wonderful experience. Moreover, flowers blossom from early spring to late spring, although the kind changes. In early spring, the weather changes often, thick coat is needed although it is warm. In middle spring, temperatures indoor and outdoor are so different that visitors are recommended to bring a thin coat. And in late spring, the sunshine is intense outdoor, ladies are recommended to bring a sunshade. Summer lasts from June to August. And because it is so hot, outdoor visit is almost impossible. But it is a good time for museums and mountains. There are air-conditions in every museum and the temperature on the mountain is the most comfortable in early summer. The temperature in autumn is also proper for outdoor visiting, but it is better to avoid the golden week, that is, the first week of October. It is so crowded in the week, not only in the attractions, but also in the vehicles. It may be needed 1 hour to enter the subway entrance after getting down from high-speed railway, just an example. Winter ranges from December to February and it is so cold in the season. It is unfit for outdoor visiting, but travelers choose to ski and take a bath in hot spring. There are big skiing resorts in Xi’an, for example, Cuihua Mountain Skiing Resort, Bai Luyuan Skiing Resort and Fengyu Zhuangyuan Skiing Resort. And there are so many hot springs around Xi’an.